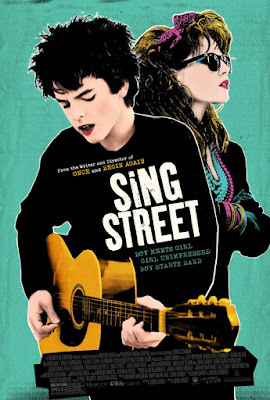 1) SING STREET – 2016 probably won’t go down in the history books as one of mankind’s proudest years. And yet, amidst all the cynicism and bad news, this unassuming little Irish musical from Once director John Carney emerged, utterly exploding with wide-eyed optimism, exhilaration and unbridled joy. An enchanting coming of age yarn about a teenage musician’s awkward artistic awakening, Sing Street boasts a terrific, disarming cast (Jack Reynor, as our hero’s slacker brother, is a star in the making), huge fist-pumping underdog story highs and an infectious all-timer soundtrack loaded with rousing earworm confections. Although there were several remarkably moving films released in the past twelve months, none matched this charmer’s gift for leaving the viewer beaming ear to ear, ready to take on the world no matter the obstacles. 2) MOONLIGHT – No doubt about it, Barry Jenkins’ enthralling coming of age triptych chronicling the development of a young gay black man in the slums of Miami was the most beautifully compassionate and deeply human cinematic work of 2016. Utilizing its protagonist’s specific journey to tap into countless universal truths, Moonlight never falls prey to artifice, cliché or cheap sentiment. No, rather it achieves something far more powerful and pure: catharsis. Populated by a wonderful ensemble – with towering stand-out turns by Mahershala Ali and Naomie Harris – this is an utter miracle of a movie, humble in its intentions but genuinely enriching for the soul. 3) MANCHESTER BY THE SEA – Casey Affleck’s been building up steam for quite some time, amassing an impressive number of sensational performances in predominantly independent fare. Here, in Kenneth Lonergan’s audacious examination of the messy grieving process, he at last earns his place among our current acting titans playing a directionless loner forced to return to his home town to care for his teenage nephew – played by extremely promising newcomer Ben O’Brien - after his brother passes. Keenly observant, raw and frequently funny (no, seriously! 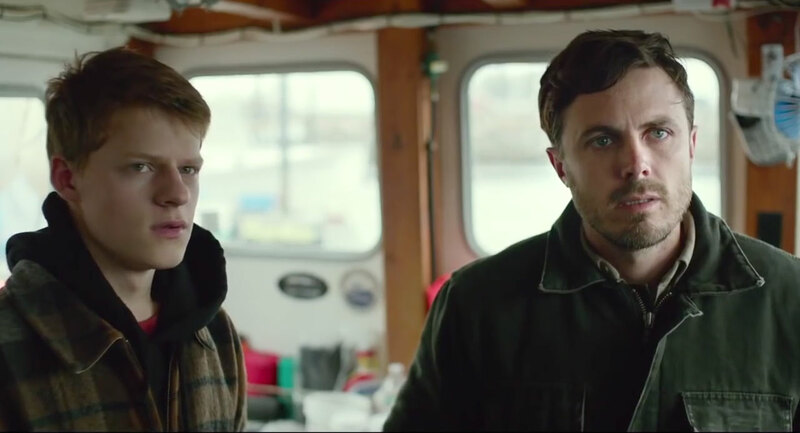 ), Manchester by the Sea is an intensely touching account of a damaged man waging an exhausting daily battle to come to terms with the wreckage of his past. 4) NOCTURNAL ANIMALS – Fashion designer extraordinaire Tom Ford’s wrenching sophomore directorial effort is brutal, unforgettable proof that he’s the real deal. A combustible cocktail of cinematic influences - including Lynch, De Palma, Hitchcock and the Coens - Nocturnal Animals feverishly mashes up Cormac McCarthy-esque neo-western fatalism with despairing upper class ennui to uniquely jaw-dropping results. Unfolding over two parallel tales – one in the real world occupied by Amy Adams’ unsatisfied gallerist, the other a fictional narrative involving Jake Gyllenhaal and a wry lawman played by the brilliant Michael Shannon – that slyly comment on one another, the film sees Ford playing the audience like a piano, masterfully controlling tension and leaving you dazed, captivated and out of breath. 5) CAPTAIN AMERICA: CIVIL WAR – Never satisfied to rest on its laurels, the Marvel movie machine’s thirteenth (!) production was its best yet; a classic clash of compelling crime-fighting ideals that’s as interested in colorful character psychology as pyrotechnics. Nimbly accommodating a veritable army of all-star icons, including headliners Cap and Iron Man, as well as insect-themed scene-stealers Spider-Man and Ant-Man, Civil War is pure blockbuster bliss fueled by its makers’ unabashed adoration for their vibrant comic-book universe. After seeing similar material done horrendously wrong the same year by the noxious Batman v Superman, this third Captain America adventure once again saw the House of M confidently reminding the world that when it comes to superhero cinema nobody does it better than them. 6) ARRIVAL – It’s so rare to encounter a science fiction film that feels truly original and authentic that when it happens it’s impossible not to be swept up in a feeling of revelation. Such was the case with Denis Villeneuve’s brainy and unexpectedly poignant first contact story featuring Amy Adams as a linguistics expert struggling to decode a daunting extraterrestrial language against a volatile political ticking clock. An expertly scripted adaptation of Ted Chiang’s “Story of Your Life,” Arrival offers a potent blend of engrossing intellectual curiosity and profoundly moving emotional fireworks, and is all but guaranteed for genre canonization in the years to come. 7) ZOOTOPIA – Continuing its astounding recent animation hot streak, Disney’s hilarious, sincere and surprisingly sophisticated take on the buddy cop genre doesn’t just cheekily tweak the genre; it also manages to be a clever and involving entry in it as well. 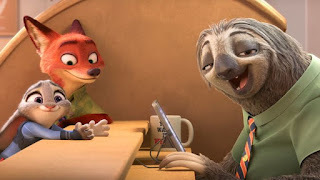 Buoyed by winningly multi-dimensional heroes, energetic world-building, laugh out loud gags (the much-hyped sloth scene is bonafide comedic genius) and a message that, sadly, couldn’t be any more relevant, Zootopia represented the best in family entertainment in 2016. Forget Frozen 2, get Judy Hopps and Nick Wilde back on another case, and pronto! 8) LA LA LAND – After 2014’s astonishing Whiplash, helmer Damien Chazelle became one of the most encouraging rising talents in the industry. Even still, though, it’s more than a little dumb-founding how effortlessly playful and graceful this delightful Singin’ in the Rain-inspired musical odyssey feels under his assured guidance. From its bouncy opening freeway dance off, to the magical, wistful final reverie experienced by irresistible leads Ryan Gosling and Emma Stone, La La Land both sweetly honors the traditions and conventions of classic Hollywood song and dance pictures and delicately hits all the right heartfelt notes a modern audience would hope for. 9) THE NEON DEMON – A bracing and sobering antidote to La La Land’s dreamy sun-soaked look at the City of Angels, uncompromising auteur Nicolas Winding Refn’s fashion world grotesque-a-thon is one sick and twisted wake up call. Starring a naively innocent Elle Fanning as an aspiring model grasping at fame while triggering predatory instincts in those around her, The Neon Demon takes the director’s repulsively gorgeous brand of synthetic hallucinatory pop filmmaking to its most unsettling conclusion. Thrilling, dazzling and icy, it’s a spellbinder that writhes and sways to its own haunting rhythms, the hell with the consequences. 10) ROGUE ONE: A STAR WARS STORY – Rarely ever before has calculated franchise retconning been this inventive or exciting! Gareth Edwards’ kinetic prequel to A New Hope does exactly what it should; expanding the Star Wars universe in fresh and interesting ways, adding appreciated shades of grey to its typically black and white morality and delivering wonderfully grand big screen spectacle. The first real examination of war in the series, Rogue One exploits its “men on a mission” formula to spectacular effect, considering the human cost in a series that previously rarely slowed down long enough to do so. By the time the epic slam-bang final act comes to its triumphant conclusion there’s little doubt the force is still very, very strong. 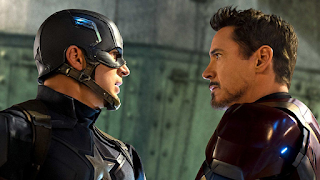 I liked Captain America: Civil War of all the movies. Had been waiting for it for quite long back then. Thanks for sharing your collection here.